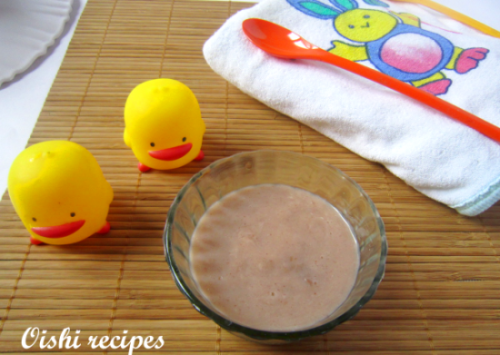 Ragi / Muthari kurukku / Finger Millet Porridge is a healthy food for infants from six to one year old. I gives this to my little daughter. 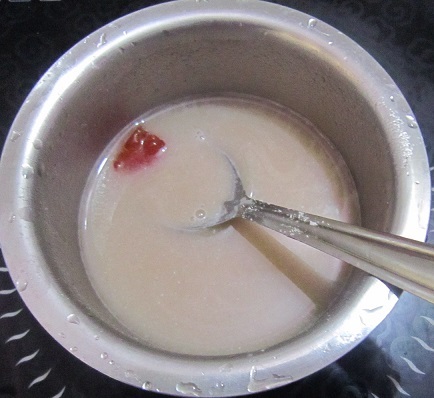 Remembering my sweet old days, my mother usually give to me and my brother. 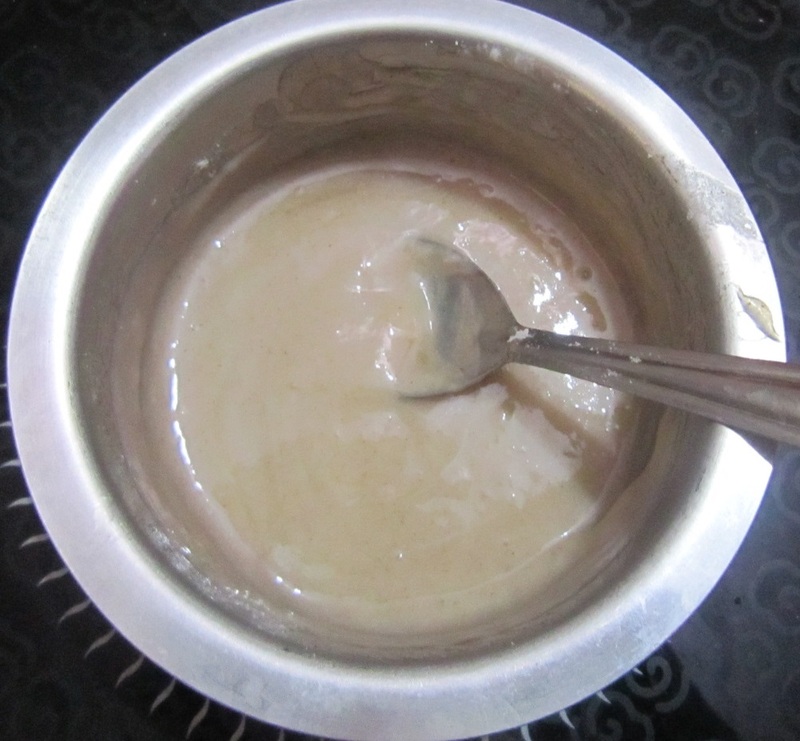 I know everybody had grown up with this healthy kurukku. It is gluten free and easy digestible. It makes bone stronger and grow with a healthy body. 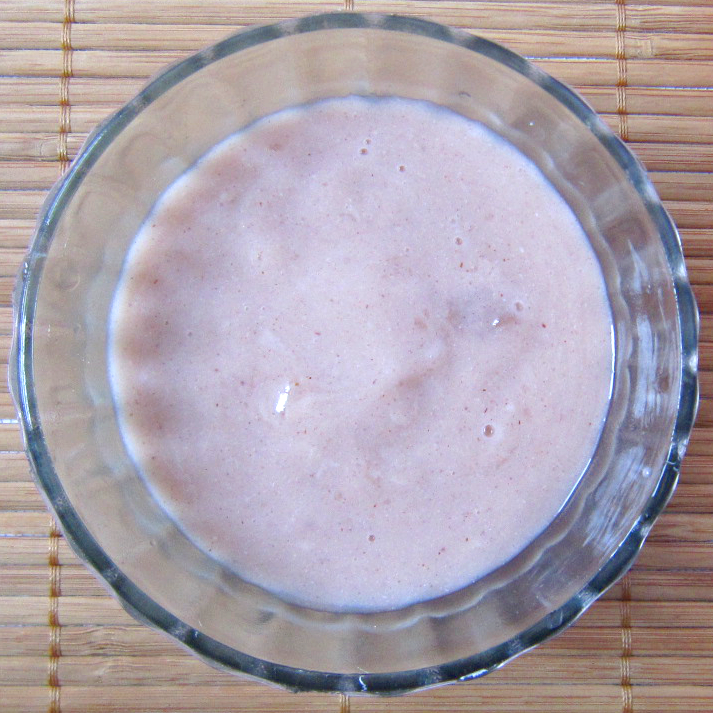 Ragi is good for all ages, it is rich in fiber and reduces cholesterol. You start feeding this Ragi kurukku with breast milk or formula milk for your baby. 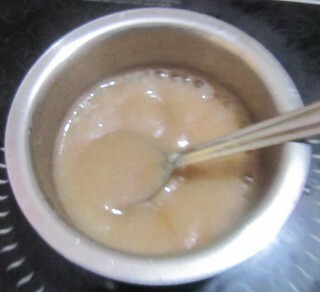 I have started this Ragi kurukku at the age of six months. So try it out and let me know what you think about. 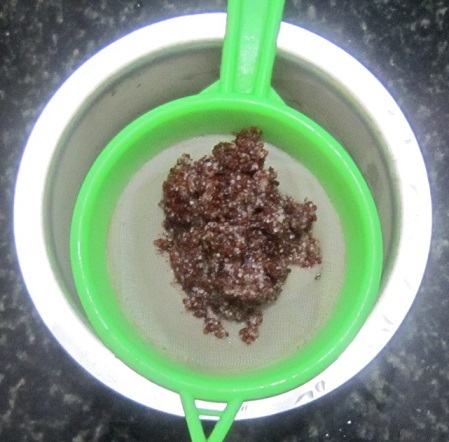 Wash and soak ragi in water for 15min. 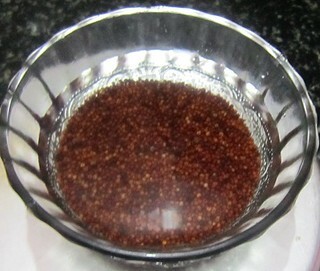 Take a blender add the soaked ragi with some water into it. Pulse it for 3 -4 times. 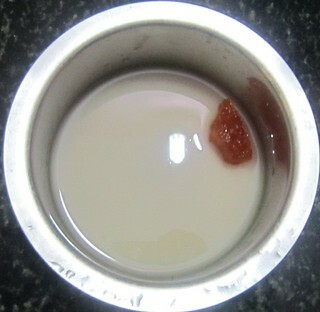 You can see that the milk comes out of it. 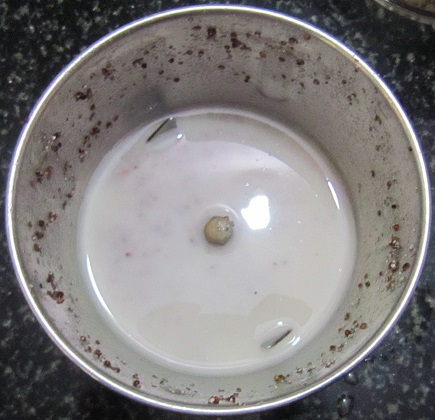 Separate the milk from the grind ragi by passing through a sieve. Place it on the cook top in a low flame. Now add kalkandam into it. Stir continuously otherwise it will become thick before it cooks. Bubbles start appearing on it, now switch of the flame. Add the nan milk powder into it with some water. 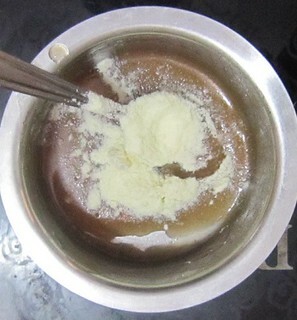 Mix well till it becomes a smooth paste. Let it cool and serve. 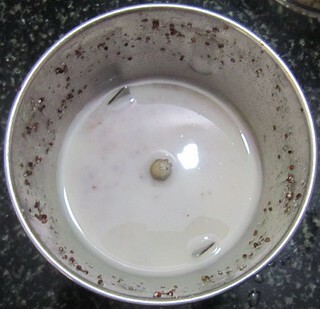 Soak for more minutes so that the milk comes out from it. Use kalkandam instead of sugar it is good for babies. 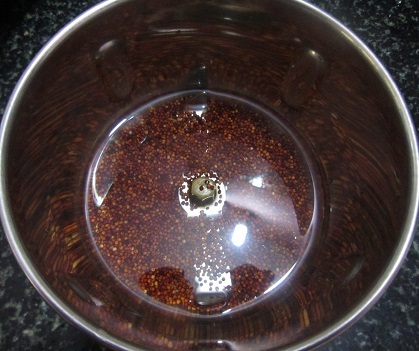 Prepare the kurukku at the time when you are thinking of giving it your baby.